It might be a surprise to see the latest mix album from London club Fabric appearing on these pages – but don’t judge it until you see the tracklisting. The mix is by DJ Format, known primarily on the hip hop/breaks scene, but a man who isn’t scared of going back to the 60s and 70s for some inspiration. 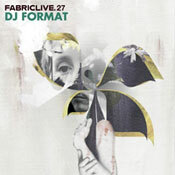 The FabricLive album is packed full of tracks known and loved on today’s mod/60s scene, sitting alongside more contemporary material (that is definitely not). There’s nothing radically new to collectors here, but for us mere mortals, check out classics like Brian Auger and Julie Driscoll’s "Indian Rope Man", Nina Simone’s "Save Me", Ananda Shankar’s "Dancin’ Drums" or Ella Fitzgerald’s take on Cream’s "Sunshine Of Your Love". It’s also a budget release – so your 25 tracks should only set you back about £9. Great value in our book. do you know a good material of dj ?